Noted Israeli film maker Dani Menkin (Is That You?) 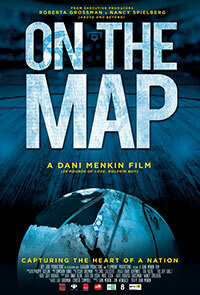 delivers his first sports documentary On The Map. This film is an improbable account of his country’s national basketball team, Maccabi Tel Aviv, as it sought to make history during the 1977 European Cup tournament. Basketball first came to the Maccabi Tel Aviv Sports Club in the 1930s. Years later, the Maccabi Tel Aviv basketball team became Israel’s counterpart to the dominant Boston Celtic basketball franchise of the late 1950s and early 1960s, winning the Israeli Professional League’s championship 50 times and the State Basketball cup 41 times. Maccabi Tel Aviv became the first Israeli team to enter the European Cup for Champions in 1958. The 1970s was a very turbulent period in Israel’s history as the Palestinian Liberation Organization (PLO) began to extend its attacks on Israeli targets around the world, including the massacre of Israeli athletes during the 1972 Munich Olympic games. The following year saw the Yom Kippur War during which thousands of Israeli soldiers lost their lives. In the year that this story takes place, there was yet another act of terrorism when an airliner with a number of Israelis on board was diverted to Entebbe by the PLO. The 1977 team, coached by former Israeli basketball player Ralph Klein, was led by American guard Tal Brody,and several of his compatriots Jim Boatwright, Erik Minkin, Aulcey Perry, and Lou Silver. The young Israeli basketball phenomenon Miki Bercovich, who went on to be the most decorated player in its national history, supplied the essential spark to take Maccabi to the top. Not unlike the American hockey team’s 1980 Olympic “Miracle on Ice,” Maccabi Tel Aviv had to defeat the Russian team and then contend with an Italian Mobilgirgi Varese squad that that had previously routed them. Diplomatic relations between the Soviet Union and Israel had been suspended, adding a further obstacle for the Maccabi Tel Aviv team as the tournament game against their Russian CSKA counterparts could only be played on a neutral basketball court in Virtom, Belgium. Matched up against players from the team that “defeated” the United States in the 1972 Olympics (aided by some crooked officials), what looked like a no-contest on paper became a defining moment in modern Israeli history. Menkin’s documentary takes its title from Tal Brody’s historic pronouncement after an inconceivable outcome: for the very first time, a small country’s team defeats an historic powerhouse from a nation more than fifty times its size. With the status of star guard Brody in doubt (he had to return suddenly to the US to visit his ailing father), the Maccabi team prepared for the biggest contest in its history with all of Israel watching on television. As the Maccabi Tel Aviv team neared the European championship game in Belgrade, Yugoslavia, Prime Minister Yitzhak Rabin was readying a resignation speech that could have interrupted the game’s broadcast and make the “biggest game” ever unviewable. The denouement of this live television dilemma and the final outcome of the game are now history as the impossible dream became reality. 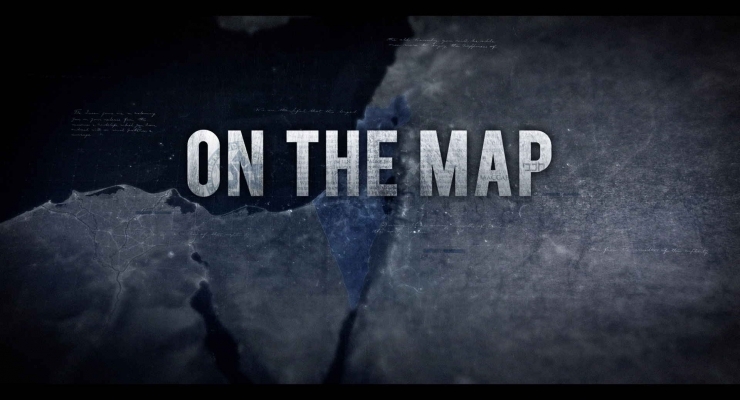 Dani Menkin is a master of the dramatic documentary and On the Map builds its suspense with all of the elements of a cinematic thriller. Menkin includes numerous filmed excerpts (mostly in black-and-white) from the 1977 Maccabi basketball season as well contemporary events and characters in Israel. Color commentary is added by basketball legend Bill Walton (who had played with Brody), former NBA commissioner David Stern, iconic college coach Digger Phelps, and some of the team members who were filmed during a reunion viewing of the championship game. Former Russian political prisoner Natan Sharansky, Israeli ambassador to the US Michael Oren, and several prominent Israeli television personalities of this era also contribute interviews to this film. On the Map is an emotion-charged and completely brilliant account of how a single sporting event transformed a nation, lifted the spirits of its people, and demonstrated that it is still possible for little David to defeat the giant Goliath. A highly recommended, feel-good film. On the Map opens November 25, 2016 in L.A. and December 9, 2016 in NYC. A brilliant, moving documentary of a most improbable sporting event that transformed the future of a small nation.